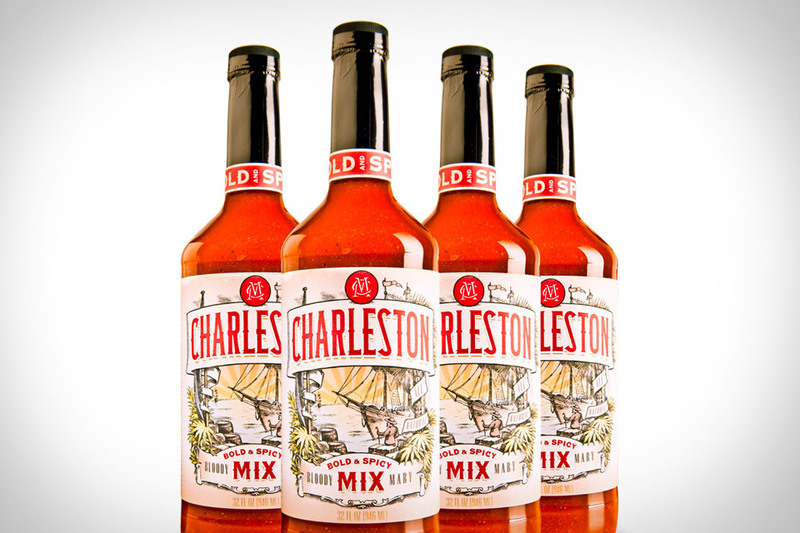 While in Charleston, we happily sampled the local bloody mary mix, which I have been craving ever since our return. Luckily for me, you can buy a bottle (or a case) online and the shipping will only set you back $5, much less than our plane tickets. I came to the bloody mary party late, but strong. Now sipping on a concoction of tomato, horseradish, worcestershire, and my favorite addition, pickle juice, has become a Sunday afternoon tradition see exhibits, A, B and C. Although I usually stir up my own mix from scratch, with pre-made this good, it's hardly necessary. I find this one to be heavy on the worcestershire and totally delicious, don't blame me if your Sunday's become far less productive.